On march 1st 2018. SPE Unhas SC held an event called sharing EOR Workshop. 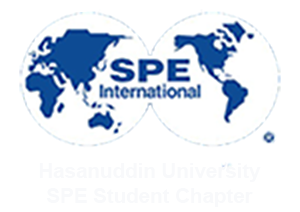 The speaker of this workshop is Ms. Dewi Rahma Ahmadi because she was the representative of SPE Unhas SC that attend EOR Workshop on Jakarta at 31st January – 1st February. She gave many information about enhanced oil recovery (abbreviated EOR), the implementation of various techniques for increasing the amount of crude oil that can be extracted from an oil field. This workshop was followed by all board and staff member SPE Unhas SC 2018. 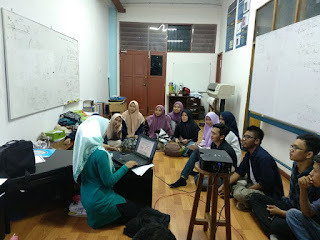 Ms. Dewi Rahma Ahmadi made the atmosphere in this sharing workshop relax and not too tense that makes participants very enthusiastic to follow this workshops from beginning to the end of this sharing workshop. Many questions were asked from participants related to material presented. This workshop is very attracting to participants with discussion and correction of some material that has been reviewed by the speaker. Thank you to Ms. Dewi Rahma Ahmadi as a speaker who have a very attracting material, and thank you to all board and staff member who have participated. Hopefully with the workshop, all participants will become more understand related to enhanced oil recovery.